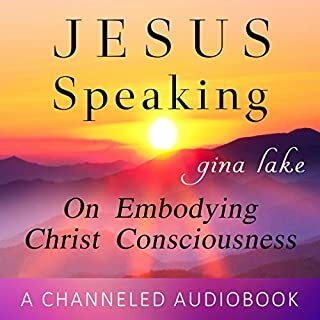 In this channeled book, Jesus speaks to us from another dimension to awaken Christ consciousness within us. Christ consciousness refers to enlightenment or the realization of our oneness with all and our inherent divinity, exemplified by Jesus Christ. Jesus lived what he taught, and he taught from a higher consciousness, one free of ego. Jesus was an example of what we all can be, a model of what is possible for every human being, and the messages in this book teach us how we can become more Christ-like and live as he did. 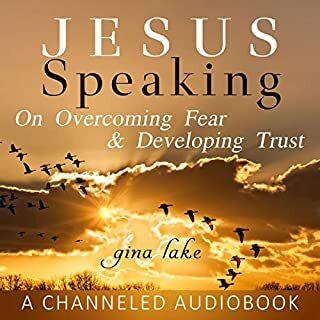 Discover the truth about fear, along with practical advice and methods for working with fear and overcoming specific fears, such as the fear of failure, poverty, death, loss, illness, aging, and not being loved as you develop your relationship with Jesus. Please get your narrator back!!! Jesus still exists and is and has always been available to those who are devoted to him. This audiobook is Jesus speaking from another dimension today. 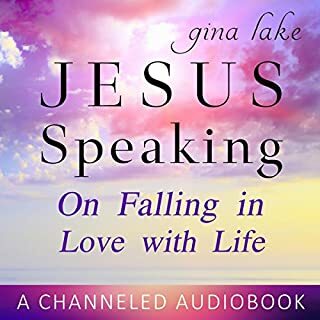 His message, as channeled through Gina Lake, is meant to bring you into greater alignment with the Christ within you, with Christ Consciousness. It is also intended to give you the experience of having a relationship with the wise and gentle being we have known as Jesus the Christ, as he speaks to you as if you were sitting in his presence. Are you sabotaging the love that is possible in your relationships? Have you ever wished you could unlock the love that is your true nature and express it fully? Loving in the Moment offers a spiritual approach to transforming relationships by showing you how to let go of your preconceived ideas and judgments. By moving beyond your ego and conditioning, you can create a richer, more loving life for yourself and those you care about. Jesus still exists and is and has always been available to those who are devoted to him. This book is Jesus speaking from another dimension today. What we know about Jesus and what is obvious from the messages in this book is that Jesus is about love. His purpose in speaking to us today through these messages is to awaken the love within us that is our true nature. These messages are also intended to give you the experience of having a relationship with this wise and loving being we have known as Jesus the Christ, as he speaks to you as if you were sitting in his presence. Freedom from your conditioning is possible, but the mind is a formidable opponent to freedom. It was designed to keep you thinking of yourself the way you do. Getting free requires a new way of thinking or rather, not thinking. Healing our emotional selves entails changing our relationship to our mind and discovering our true nature. This audiobook will help you do that. The Now - this moment - is the true source of happiness and peace and the key to living a fulfilled and meaningful life. 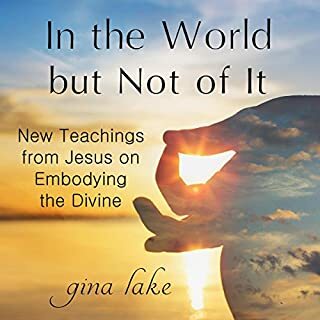 Embracing the Now by Gina Lake is a collection of short essays about the Now that can serve as daily reminders of the deepest truths. Full of clear insight and wisdom, it explains how the mind keeps us from being in the Now, how to move into the Now and stay there, and what living from the Now is like. On a glorious fall day in 2012, while sitting in a garden graced by a statue of Mother Mary, Gina Lake heard Mother Mary address her: "You are my beloved child." This began an ongoing relationship and communication with Mother Mary. Ten Teachings for One World is a message from Mother Mary to all her beloved children on earth. The teachings are intended to bring us into closer contact with the peace and love that is our divine nature, which has the ability to transform our hearts and our world. Radical Happiness: A Guide to Awakening by Gina Lake provides the keys to experiencing the happiness that is always present and not dependent on circumstances. This happiness doesn't come from getting what we want, but from wanting what is here now. It comes from realizing that who we think we are, that is, who our thoughts tell us we are, is not who we really are. This is a radical perspective! True happiness comes from experiencing our true nature by being present in each moment. What made the experience of listening to From Stress to Stillness the most enjoyable? Upon listening to this book, stress began to melt away and Stillness became more apparent and easier to become aware of. The narrator, Toni Orans, has a mixture of clarity, sympathy, and peace that make this easy and powerful to listen to. What did you learn from From Stress to Stillness that you would use in your daily life? 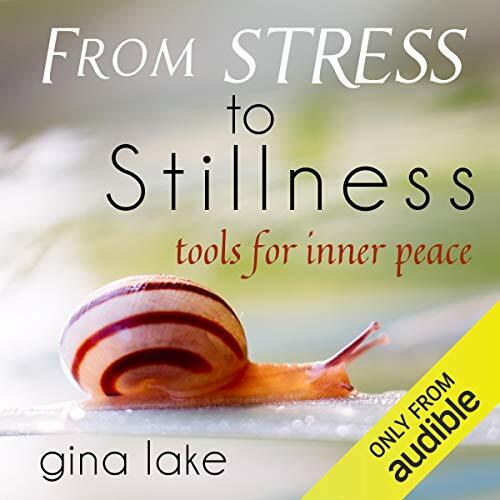 This is a great book to listen to during times of anxiety, the practical tips and the flow of the words relax, de-stress, and bring Stillness. I'm living a happier life because of this book! I was waiting for this book and didn't know it! It is the ultimate book about how to attain and support higher consciousness while living a busy life in a world spinning out of control. The advice is so simple and practical that I found nuggets to put into practice in the first few pages. I live more slowly and peacefully now. What a difference! So don't stop with this one, read all of Gina Lake's books! 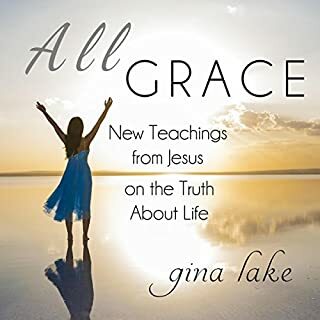 Thank you Gina for writing the most incredibly practical and wise spiritual books out there! The struggle to feel peace and happiness is real amongst a society that is so fast paced and competitive. This book gave me tools to apply that have helped to to slow down, focus, and most of all recognize who I really am and find more purpose in life. I can honestly say I'm twice as happy of a person than I was before this book. Would you consider the audio edition of From Stress to Stillness to be better than the print version? Listening to it brings a profound peacefulness. With each chapter,...no, with each paragraph heard, you relax into deeper states of pleasantness. What was one of the most memorable moments of From Stress to Stillness? Gina gives the tools you need to transform a challenging situation into a transformational experience. It's genus. Each chapter grows in value. It crescendos at the end leaving you with the confidence to go through the toughest day. Have you listened to any of Toni Orans’s other performances before? How does this one compare? I loved the reader. Very compelling. What insight do you think you’ll apply from From Stress to Stillness? Having listened to the audio book more than once, I've since experienced very little stress. Unusual in my line of work, plumbing. I highly recommend this audio book to anyone wishing to grow towards enlightenment with a set of tools to rise above the challenges of The Path. Would you listen to From Stress to Stillness again? Why? Yes, I will listen to it over and over. It has been very helpful to me. It can bring you more peace in your life. I'm happy I found this audiobook. I just discovered Whispersync. It's very cool. They have a video explaining how it works. if you buy both the audio and kindle ebook you can read the book and then go back to the audiobook and it will leave off exactly where you left off and vice versa. When you own the Whispersync for Voice-ready Kindle book and the Audible audiobook, you can switch between reading and listening without losing your place. Or you can read and listen at the same time on Kindle Fire HD. Inteteresting concept. " we are not are thoughts". this is our ego mind. I will definitely use this as a guide to help live a more stress free life. 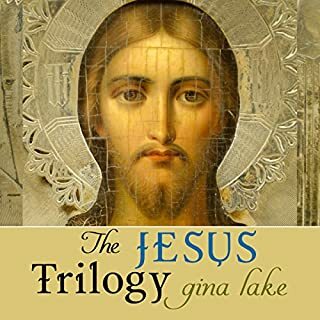 And yet, another excellent book by Gina Lake! I albsolutely love this book! I listen to it over and over and over, in addition to many of Gina Lakes, other books. This book is a must have. I cut my negative thoughts down to minutes a day from hours a day. I will use it's practices and stillness principals for the rest of my life. I would recommend this audiobook because it contains a wealth of useful, insightful information about how and why stressful thoughts arise, and what we can do to deal with them in a fully present, compassionate way so that they no longer have the power to run our lives. The book just registers on so many levels. It is so useful to have a 'mirror' to hold up in which to try to understand our internal experience and how you can go about improving the quality of your life. What does Toni Orans bring to the story that you wouldn’t experience if you had only read the book? The narrator has a lovely, gentle voice that adds to the compassionate message of the book. Due to the length of the book and it's insightful content, I wanted to take my time, listening section by section and then taking time to process the content. Boring and hard to listen to.